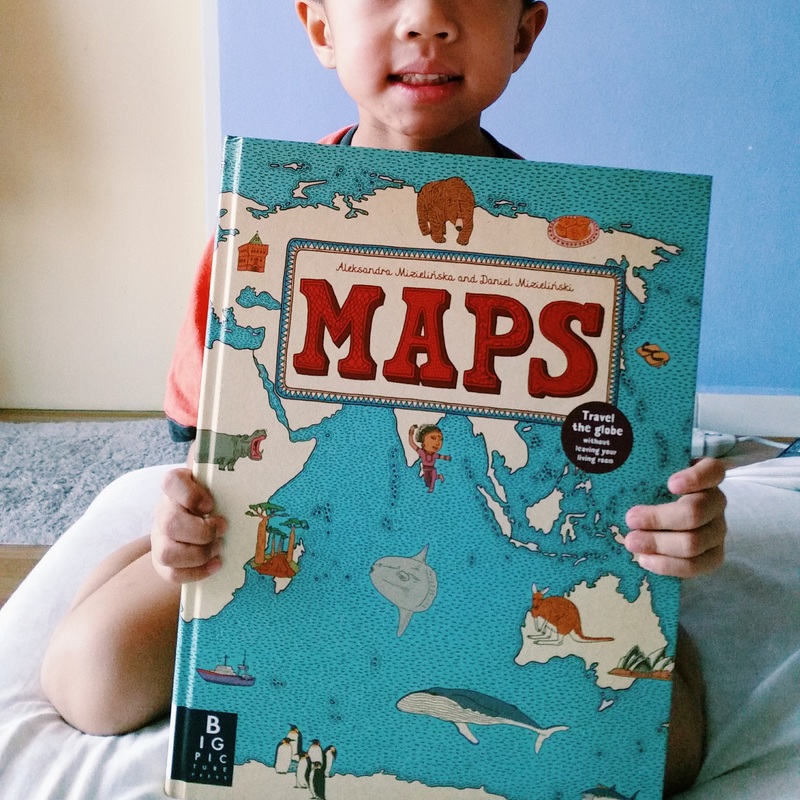 I first stumbled upon Maps by Warsaw-based children illustrators Aleksandra Mizielinska and Daniel Mizielinska on a home schooling blog and I was immediately intrigued. Geography was my most loathed subject in school and I never expected to lose my heart to an atlas of all things! 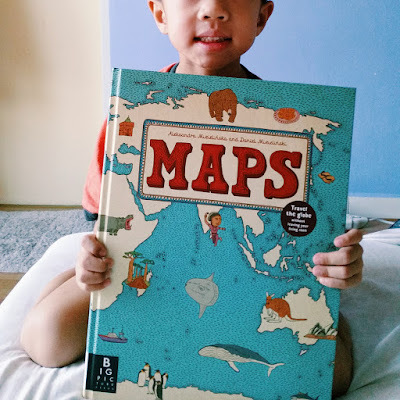 It was close to impossible to find this book here so Mum got one from Kinokuniya Singapore for me Bubs and we immediately flicked through the pages, oooh-ing and aah-ing over the sumptuous drawings. This is not your conventional world atlas and again, not all countries are included in this book. Instead, this will pique your curiosity and interest in the meticulously drawn historical and cultural facts. 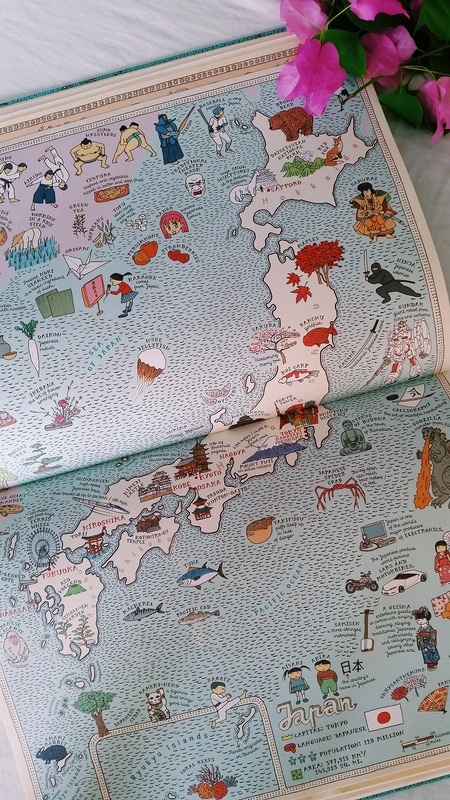 Who'd ever expected Godzilla to be featured on a map of Japan? 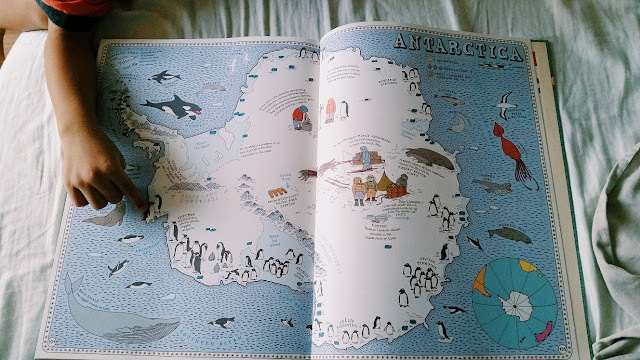 Travel the world through the pages of this book: a bit of wanderlust for everyone :) Now excuse me while I go explore penguins in Antarctica.